Forty-eight new apartments designed by Stirling Prize-winning architectural practice AHMM have been released at Television Centre today. The one to three bedroom apartments' prices start from £750,000. The new apartments offer unrivaled views over Hammersmith Park’s Japanese ornamental garden, completed in 1910 as part of the Japan-British Exhibition at White City in 1910, and the oldest traditional Japanese garden in a public place in Britain. These homes offer outside space with balconies and are set to complete in summer 2018. 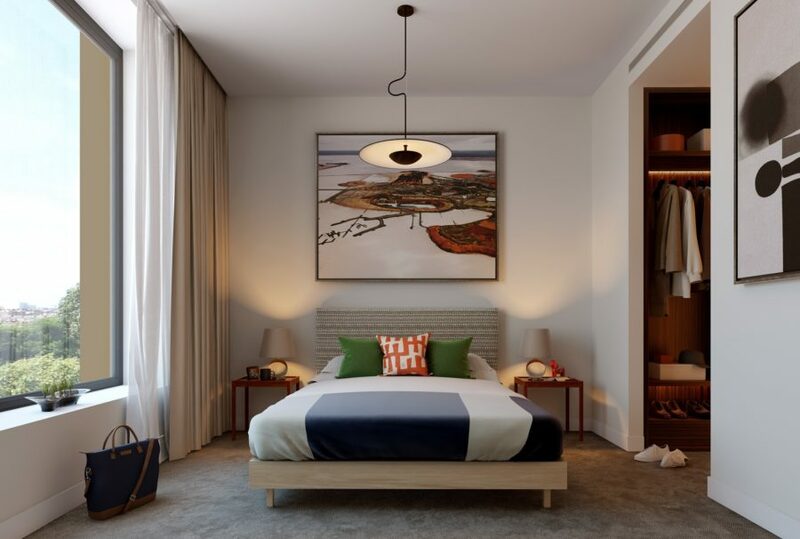 Each apartment comes with access to a 24 hour concierge, gym and swimming pool, residents’ rooftop rotunda, private landscaped gardens and residents’ meeting rooms. Residential enquiries can be made in person at Television Centre's Sales Pavilion on Wood Lane, or via the website by visiting the register page.